Christian, committee on child abuse and neglect. (2015). 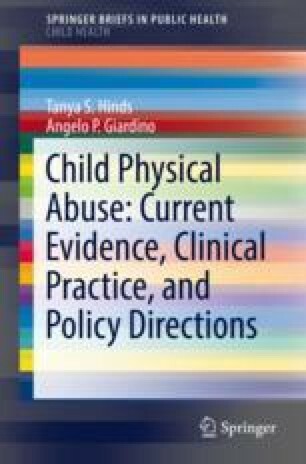 The evaluation of suspected child physical abuse. Pediatrics, 135(5), E1337–e1354. (2015). Pediatrics, 136(3), 583–583. doi: 10.1542/peds.2015-2010. Collins, P. W., Hamilton, M., Dunstan, F. D., Maguire, S., Nuttall, D. E., Liesner, R., et al. (2016). Patterns of bruising in preschool children with inherited bleeding disorders: A longitudinal study. Archives of Disease in Childhood. doi: 10.1136/archdischild-2015-310196. Daria, S., Sugar, N. F., Feldman, K. W., Boos, S. C., Benton, S. A., & Ornstein, A. (2004). Into hot water head first. Pediatric Emergency Care. doi: 10.1097/01.pec.0000125658.05196.b1. Lindberg, D. M., Shapiro, R. A., Blood, E. A., Steiner, R. D., & Berger, R. P. (2013). Utility of hepatic transaminases in children with concern for abuse. Pediatrics, 131(2), 268–275. doi: 10.1542/peds.2012-1952. Pierce, M., Kaczor, K., Aldridge, S., O’Flynn, J., & Lorenz, D. (2010). Bruising characteristics discriminating physical child abuse from accidental trauma. Pediatrics, 125(1), 67–74. Pediatrics, 125(4), 861–861. doi: 10.1542/peds.2010-0583.